NCCAM-"Alternative Medicine" is Dead, Long Live NCCIH-"Integrative Health"
The former NIH National Center for Complementary and Alternative Medicine (NCCAM) has officially changed its name to the National Center for Complementary and Integrative Health (NCCIH). The mechanism was the Consolidated and Further Continuing Appropriations Act (2015) passed on December 9, 2014. The relevant amendments to Title IV of the Public Health Service Act include: 1) "striking ‘alternative medicine' in each place it appears and replacing it with ‘integrative health'"; 2) "striking all references to ‘alternative and complementary medical treatment' or ‘complementary and alternative treatment' in each place either appears and inserting ‘complementary and integrative health'"; and 3) "striking references to ‘alternative medical treatment' in each place it appears and inserting ‘integrative health treatment.'" The release underscores that the name change does not in any way change the two-page mandate itself that was meant to capture Congressional intention for the Center's work. Comment: Wow, the influence of a federal government decree. These 3 sections are powerful - as if the battle over what do we call it that we do is over. As thought "alternative medicine" was thereby swept into the dustbin of history. The change of language had strong leadership and a quality process led by NCCIH director Josephine Briggs, MD and a team on her National Advisory Council for Complementary and Integrative Health (to put in place the name change). The direction reflects findings regarding actual consumer use of "alternative medicines." They are often health focused and are typically "integrative" with conventional care rather than wholesale "alternatives." In its January2015 newsletter, the Academy of Integrative Health and Medicine (AIHM) congratulated the NIH on the name change from National Center for Complementary and Alternative Medicine (NCCAM) to the National Center for Complementary and Integrative Health (NCCIH). Then AIHM challenged the agency on a key point, expressing "concern with the make-up of the National Advisory Council to the Center." AIHM cited Congress mandate to the NIH in 1998 that "at least half of the members of the advisory council ...shall include practitioners licensed in one or more of the major systems with which the Center is concerned." The newsletter piece stated that out of 18 members, only two are from professions "that have historically been considered complementary and alternative medicine - an MD-chiropractic doctor and a single naturopathic physician. That's 11% not 50% plus." AIHM concluded: "We earnestly hope that the new NCCIH will make sure to appropriately and in a robust way include all of the integrative health and medicine professions in the agency's leadership as we engage the research to support implementing integrative health practices in our communities." Comment: This past month, even as NCCAM was excising the consumer movement for "alternative medicine" from its portfolio, a colleague a colleague sent notice of a reputable study from the end of 2013 that has put the estimate of deaths from hospital errors at 440,000 annually. 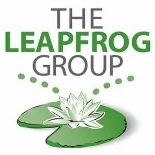 If these numbers from the hospital safety-focused Leapfrog Group are solid, this makes hospital errors the 3rd leading cause of death in the United States. 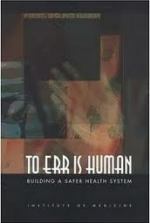 This is up from the 98,000 estimate from the purportedly game-changing Institute of Medicine's To Err is Human (1999). This is devastating. Somehow "complementary" and "integrative" don't seem to hold the right urgency for what is needed. We clearly need, from top-to-bottom, systemic, out of the box, major alternatives to what we are doing in the organization of medicine to adequately effect the transformation for which the integrative health and medicine fields stand. Just as "alternative" can box the movement, so can "alternative" focus one to radically think further outside the box that either "integrative" or "complementary" suggest. The American Herbal Products Association has reported that in December U.S. Senator Orrin Hatch (R-UT) and then still Senator Tom Harkin (D-IA) recognized Sen. Martin Heinrich (D-NM) as the next Democratic leader in the U.S. Senate for safeguarding access to dietary supplements." Heinrich was elected to the Senate in November 2012. He had previously served in the House of Representatives from 2009 to 2012 and on the Albuquerque City Council from 2003 to 2007, including one term as city council president in 2006. AHPTA credits its own work and that of AHPA's New Mexico members for making Heinrich "keenly aware of the important role that the supplement community plays in his home state." AHPA invited Senator Heinrich to attend Expo West and introduced him to the herbal and natural products industry. Heinrich was the first to join the Congressional Dietary Supplements Caucus since Senators Hatch and Harkin initially founded the caucus. Comment: Tough to swap a powerful veteran with a personal natural health story (Harkin) for a greenhorn (Heinrich). Let's see how he matures in this role. Side-note: Drugstore News here reports on the 7th and final briefing to the Dietary Supplement Caucus held on December14, 2014. In an end of year statement to members, the American Botanical Council (ABC) highlighted recent developments with its Botanical Adulterants Program. ABC notes that product chemist John Cardellina and Canadian herb and regulatory expert Michael Smith, BPharm, ND, are each working with the program. This means the program "will be picking up even more steam in 2015." One initiative is the development of Laboratory Guidance Documents to "provide summaries and evaluations of existing analytical methods for determining authenticity and detection of adulteration of herbs already covered in the Botanical Adulterants Program." They note that ABC's first such document, on skullcap, is about to be released. ABC's partners in the program are the American Herbal Pharmacopoeia and the University of Mississippi's National Center for Natural Products Research (NCNPR). Comment: Great to see Samueli Institute senior fellow Michael Smith, BPharm, ND on this team. This program is to the herb industry what the Institute of Health Improvement's (IHI) 100,000 lives campaign was to US medical delivery systems. Each focuses on shadow topics that some in each industry would consider just the kind of dirty laundry to keep to themselves and not advertise. The IHI campaign responded to reports of medical errors and this of course to intentional and unintentional "errors" in the make-up of herbal products that can influence both safety and effectiveness. Good for the IHI on the former. Good for ABC executive director Mark Blumenthal and ABC's partners for the latter. The Northwest's leading pediatric hospital, Seattle Children's Hospital, is boasting the distinction of having one of the few inpatient acupuncture programs in such a specialized hospital anywhere in the country. The article on the hospital‘s website describes its uptake of acupuncture via, first, a stuttering, volunteer-driven outpatient program with very limited hours, then an internal pilot project. Positive experience in the pilot led to the present status: "The pilot was so successful that the Anesthesiology and Pain Medicine Department turned it into a fully funded program that offers acupuncture to inpatients eight hours a day, five days a week." The supervising physician is a Children's anesthesiologist since 1981 who more recently gained certification as a medical acupuncturist, Ane Lynn, MD. Two licensed acupuncture and Oriental medicine practitioners work in the department. Research on acupuncture as a non-pharmacologic approach to pain management is planned. Comment: The Seattle Children's Hospital, with its blood links to the University of Washington Medical School, is perched between that complex and some of Seattle's most valuable real estate, the Laurelhurst neighborhood along Lake Washington. The hospital has forever been a favored charity of Seattle's wealthy. Which is all a way of saying that, as tipping points go, the Children's move is more of a super-thrust than a passive falling over. (Note: for timing reasons, this was not posted with the Integrative Practitioner Online version of the Integrator Round-up in December 2014.) This typically monthly Integrator feature is a quick capture of highlights from Google Alerts and elsewhere. Recently the field's cup seems to be running over with a tremendous level of news and developments. This is in part due to my use of a broader inclusion net for what I am selecting. At the same time, the activity level suggests that those who believe the movement is headed toward a "tipping point" - see note above -- may have something. Here are 15 selections related to hospitals and medical organizations and integrative medicine, 10 from alternative and integrative medicine in community non-system practices and media, and 21 developments from around the world for November 2014. The Natural Medicine Journal, the official journal of the American Association of Naturopathic Physicians, offered a special feature, Perspectives on the Present Primary Care Crisis, with four voices looking at naturopathic and integrative practitioner roles. Cindy Breed, ND, a pioneering practitioner at the 12-clinic Health Point organization, briefly shares the multi-practitioner model there. A co-chair of the nurses Primary Care Expect Panel notes that "integrative physicians and nurse practitioners have a similar mindset in that we both feel the body and mind are connected. Nurse practitioners and integrative physicians could create an effective collaboration because of this shared view." In addition, a founder of Primary Care Progress speaks to an "all hands on deck" need: "Chiropractors, naturopathic physicians, acupuncturists, dieticians, physical therapists, and other care team members have important roles on that primary care team." The NMJ article also features and links to the primary care project white paper led by UCLA Center for Health Policy's Michael Goldstein, PhD and this writer entitled Meeting the Nation's Primary Care Needs: Current Prospective Roles of Doctors of Chiropractic and Naturopathic Medicine, Practitioners of Acupuncture and Oriental Medicine, and Direct-Entry Midwives. Comment: The NMJ article focuses attention on an important area for the publication's core constituency: naturopathic doctors. Though directly sited as "primary care" in roughly half of the states in which they are licensed, NDs are, like most professions, still working out what role(s) they might wish to play. It was notable that NMJ did not include a segment from one form of participation: those naturopathic physicians who are running recognized patient-centered medical homes (see Round-up segment immediately below). Comment: This site, with which I am involved, will be just as good as we can make it. Please send in other known integrative PCMH's or FQHCs. Group Promotes Broad Scope Chiropractic via "First Chiropractic Physician Association of America"
A Florida-based organization called the First Chiropractic Physicians Association of America that claims 4000 members and 39 state organizations is "fighting to integrate chiropractic physicians into the healthcare system as specialists and primary care providers with full prescriptive rights." The effort is led by Roderic A. Lacy, MD DC who describes his clinical work as "Practicing General Med/Chiropractic." The organization's February 2015 C.E. event, Thunder in Tampa Bay, is promoted as a time to "focus on expanding your education and your rights as a doctor so you can work side by side with MD's and DO's." FCPAA has a relationship with the chiropractic program at the University of Bridgeport for its continuing education. Comment: Clearly, there is a durable subset of chiropractors who are promoting broader scope, with some pharmacy rights. Whether the FCPAA will meaningfully that these reins is hard to say. A couple of quick queries netted mixed reports on this group's quality and likely effectiveness. The goofy name of the February CE offering is perhaps not the tone to strike if medical quality or "working side by side with MDs and DOs" is a targeted outcome. The asserted numbers of members is significant - more than the International Chiropractic Association and something like a third of that of the American Chiropractic Association. Yet on looking on finds that the threshold for membership requires the same commitment to the organization as signing up for a Costco newsletter: according to the letter, members need not pay dues. Meantime, Lacy appears to be quite a character. He has an offshore connection through which he offers interested chiropractors FCPA's Dominican Republic Hospital Adventure. The fact that it is copyrighted as "Rod's Dominican Republic Hospital Adventure" suggests that more definition of where Lacy and the FCPAA each begin and end merit clarification. His MD as well as that of one of his close colleagues, is from a D.R. institution. If those chiropractors who are taking on a less expansive majority wish to be effective in broadening practice rights, they likely need an organization. The FCPAA does not look like the right vehicle. Michael Cohen: "Integrative Medicine Physicians Must Decide if You Embrace, or Disclaim Primary Care"
In a top 5 list of legal trends for 2015 published by FON Consulting, attorney and former Harvard Medical School professor Michael Cohen notes this as #2: "Integrative medicine physicians should decide whether to embrace, or disclaim, primary care." Cohen explains: "A key strategy our law firm has been using with physicians who incorporate complementary, alternative, and integrative medicine therapeutic approaches is to style the physician as a consultant or specialist, who disclaims primary care." He gives an example: "The physician may not treat the patient's diabetes, but may review with the patient lifestyle choices that lead to or exacerbate diabetes." Cohen then concludes: "Some integrative medicine physicians prefer the primary care doctor role. However, this means that they take responsibility for providing standard of care for primary care. If the physician is, for example, only providing consultative homeopathic care so as to improve overall health rather than treat symptoms and effectuate cure, then the physician may wish to disclaim primary care." Comment: This is indeed a tough question. Ultimately, primary care would be the most philosophically integrative of any care, reaching deeply into the social determinants, self-care and patient empowerment and building from there through a therapeutic order. At the same time, however, the practitioner must practice self-care in order to impart it well. Good questions are raised about whether self-care is not utterly discordant with the current demands of primary care practice. There's the rub, and an awfully chafing rub it is. Note the segment on the rest of Cohen's Top 5, below. The Canadian Memorial Chiropractic College (CMCC) led by David Wickes, DC has firmed up an inter-institutional relationships with three divisions at the University of Toronto: including medicine, pharmacy and kinesiology. Notes the release: "The memorandum, a first between the two institutions, will provide opportunities to foster cooperative relationships in areas of research and education. This cooperation could be realized in such areas as joint applications for funding; joint educational courses; graduate and undergraduate student mobility; exchange of faculty and participation in, and co-hosting of lectures, meetings, seminars, symposia and conferences." The individual credited for building the relationship is Silvano Mior, DC, FCCS(C), PhD, a CMCC research scientist and senior advisor to Wickes. Among those who represented U Toronto for the ceremonial signing is whole systems researcher Heather Boon, PharmD, dean of the Leslie Dan Faculty of Pharmacy. Comment: When the National Education Dialogue to Advance Integrated Health Care filed its Progress Report in 2006, the number one recommendation was listed as follows: "Facilitate development of inter-institutional relationships and geographically based groupings of conventional and CAM institutions and disciplines in diverse regions. Promote student and faculty exchanges, create new clinical opportunities, facilitate integrated post-graduate and residency programs, and provide opportunities for students to audit classes and share library privileges." Looks like we have an exemplar! Note that rumor has it that a similar relationship for U Toronto is being engaged with Canadian College of Naturopathic Medicine. More as I learn more. The American College of Integrative Medicine (ICIM) has announced a new, 13 module Integrative Medicine Fellowship. The two sessions that make up Module #1 will be offered in January and March of 2014. The ICIM claims "a unique approach to the world of medicine, healing, and wellness" in which "the fundamental focus is on the individual client/patient." In the training program, "each level is designed to increase your opportunity to engage a client/patient in their own healing and to Enhance Your Practice Success by gaining more effective Tools." The first session features topics such as photon therapy, parasites, detoxification, "Water Chemistry Modification for Health Practitioner," and the role of intention. A January 10, 2014 webinar led by W. Lee Cowden, MD, MD (H) and ICIM CEO Bill Gonseaux introduced the new offerings. Comment: It is notable that the ICIM does not anywhere mention whether those who complete the fellowship will be prepared for and accepted to take the test for the new Board Certification in Integrative Medicine from the American Board of Integrative Medicine (ABOIM)e. One might anticipate new fellowship programs opening, as options to that offered through the Arizona Center for Integrative Medicine, to meet the new ABOIM standard. The AOMA Graduate School of Integrative Medicine led by William Morris, PhD, LAc, president, has announced a 10 year re-affirmation of regional accreditation from the Southern acupuncture and Oriental medicine college to gain regional accreditation when it did so in 2009. The proprietary AOMA offers both a master's degree and a doctoral degree in acupuncture and Oriental medicine. According to the release, as part of the reaffirmation process, AOMA "developed a carefully designed and focused clinical experience that is expected to "more closely align with real-world experience, providing students with a staged clinical experience at the very busy AOMA clinics." Comment: This is a shout-out to successful trail-blazing into a new level of public trust - regional accreditation - on which Morris and his AOMA team have clearly, with this 10 year reaffirmation, come through. Congratulations! On December 9, 2014, the board of directors of the American Academy of Medical Acupuncture (AAMA) passed a position on the controversial practice of "dry needling" that concludes: "The AAMA recognizes dry needling as an invasive procedure using acupuncture needles that has associated medical risks. Therefore, the AAMA maintains that this procedure should be performed only by practitioners with extensive training and familiarity with routine use of needles in their practice and who are duly licensed to perform these procedures, such as licensed medical physicians or licensed acupuncturist." The lead authors are Marshall H. Sager, DO, FAAMA and Rey Ximenes, MD, FAAMA. Comment: This position statement is something of a circling of the guild wagons of those trained in some level of acupuncture against the encroaching physical therapists and chiropractors who are going after dry-needlining. Good news for Integrative Medicine for the Underserved (IM4US). The Integrator has learned that the Samueli Foundation has made a 2015-2016 commitment of $150,000 to the organization. As a part of the grant, IM4US.will bring its growing and influential annual conference to the Samueli home base of Orange County in 2016. The funds will allow IM4US to also support the 2015 Boston conference and purchase professional and administrative services. A Samueli source states: "For IM to be successful it must be mainstreamed and available to the underserved. If we can build this organization's capacity, we can make it happen." Comment: What a terrifically-acronymed organization. The 5 digits evoke the activism of the organization and its purpose while not so subtly playing patriotic chords. The fit is good, if surprising. One priority of the philanthropy of Henry and Susan Samueli is investment in its local community, Orange County, one of the nation's wealthiest jurisdictions. Even as the IM4US name evokes strange bedfellows, we will all need to become accustomed to "underserved" and "Orange County" co-habiting our brain space. This is a huge, transformative investment for IM4US. Supplement maker Standard Process has engaged a new strategy to drive donations to the Foundation for Chiropractic Progress (F4CP). According to this F4CP newsletter, the firm has committed to match each $25 per month donation made by its customers, up until $100,000. The strategy was engaged "in hopes of encouraging more of its customers to support the F4CP's positive press campaign." Since 2006, SP has contributed at a minimum of $100,000 per year. Comment: F4CP continues to be the model for any profession to funnel support for its cause. Link clarity of purpose to commitments of top industry players then reach out through state and national organizations, colleges and individual members. It's been quite an effective strategy. The F4CP focus, like Standard Process' effort, is on securing monthly, sustaining donors. It's an impressive list. The American Association for Acupuncture and Oriental Medicine (AAAOM) has announced a public comment process on its proposed AOM competency model that AAAOM asserts "will be used to provide guidance on how AOM education is structured and delivered." The development followed findings from the AAAOM's profession-wide survey published May 2012. The AAAOM then hired a third-party expert "to help evaluate existing AOM competencies and academic structures and build a draft, unified competency model for the field." The paper is the resulting "unified competency model draft to the community for discussion." The AAAOM seeks input from the interested community via an online submission with comments due January16, 2015. The document separately addressed competencies for a Master's level training and for the emerging First Professional Doctorate. A focus is on competencies related to biomedicine, Western sciences and integrative practices. The principal authors of the 65-page document- including 20 pages of appendices - are former AAAOM president Michael Jabbour, MS, LAc and Valerie Ruhe, PhD. Comment: The AAAOM's current struggling and marginalized role in the field, and particularly the challenges Jabbour has had in playing well with others (see AAAOM - Making Promises it Can't Keep ), raise questions. Will an AAAOM document led by Jabbour, who is not himself principally an educator, be unifying or accepted as a guide? The document definitely has its merits. For instance, the appendices not only a chart showing the matrix of existing and new competencies but also some sets of comparator competencies from other fields. In late November to mark the European Union's "Antibiotics Awareness Day" for 2014, EUROCAM published a draft position paper entitled: "The role of Complementary and Alternative Medicine (CAM) in reducing the problem of antimicrobial resistance". This policy document calls out "the potential of CAM in reducing the problem of AMR [antimicrobial resistance] to be given serious consideration and for further research to be carried out in this area to determine in which conditions, both in human and veterinary healthcare, specific CAM modalities are particularly effective." The 33-page paper by this umbrella group introduces policy makers to the historic dialogue about the role of the host in development of infections of all kinds. The first segment then speaks to how integrative strategies can build resilience in people so they will have less need for antibiotics of any kind. It then touches such topics as the positive interactions between herbs and antibiotic, use of homeopathic medicines. They cite evidence that the incidence of AMR is lower in an anthroposophical hospital using more integrative therapies than it is in regular settings. The authors also note the importance of integrative practices in veterinary medicine to diminish over use of antibiotics in farming. Comment: This is a terrific example of the kind of white papers the integrative health and medicine communities need on a whole array of topics. The EUROCAM strategy of linking the publication to a mainstream event -- in this case the annual Antibiotics Awareness Day -- is also noteworthy. The authors are correct that the severity of the problem means than no stone should be unturned in exploring options. They clearly urge even those with a prejudice against natural remedies to explore into the worlds of herbs and homeopathic medicines. To the extent we fail to make what is after all a relatively limited research investment, policy-makers risk a categorization parallel to the Cold War's term of rebuke: "Better dead than red." Too many decision-makers would seem to thinks that they are better dead than CAM. Here's hoping the paper opens eyes, and doors. This new monthly Integrator feature is now developed in partnership with the soon-to-emerge web presence of the peer-reviewed and indexed Global Advances in Health and Medicine. (More next issue.) It represents a quick capture of highlights from a multitude of sources relative to dynamic developments globally in alternative and integrative heath. Forces behind the robust activity as the World Health Organization's recent Traditional Medicine Strategy, economics, expanding globalization and the uptake of integrative medicine and health models. Here are 21 selections from India, Turkey, Qatar, Pakistan, Malaysia, England, Australia, Russia and elsewhere for December 2014. The proposal to the United Nations' General Assembly reportedly came from Indian Prime Minister Narendra Modi in September 2014. He urged the United Nations' to promote yoga's value in helping people "discover the sense of oneness with yourself, the world and the nature." Three months later, on December 11, 2014, with 175 co-sponsors, the 193 member United Nations General Assembly declared June 21, the solstice, as International Day of Yoga. The U.N. secretary general Ban Ki-moon said the celebration would bring attention to yoga's holistic benefits: "Yoga can contribute to resilience against non-communicable diseases. Yoga can bring communities together in an inclusive manner that generates respect." He added: "Yoga is a sport that can contribute to development and peace. Yoga can even help people in emergency situations to find relief from stress." This is the first time "any such initiative has been proposed and implemented" in less than 90 days. The U.N has declared 118 other such commemorative days. Big news in the research arena: two major research organizations are exploring a merger. One is the Canadian IN-CAM (Interdisciplinary Network for CAM Research) and the other the International Society for Complementary Medicine Research (ISCMR). The organizations have had over-lapping founders and leaders. For instance, Heather Boon, PharmD, co-founded the former and chairs the latter while the recently retired Dr. Rogers' Prize-winner Marja Verhoef, PhD, co-founded each. Each is multidisciplinary, with a focus on outcomes and whole systems. Comment: There is a good fit between these two, especially with the characteristically less pharmaceutical and reductive foci and more proactive interest in on real world outcomes. A merger can certainly offer economies for each via limiting continuous and separate struggles for operating resources via membership and philanthropic partnerships. Attorney and regulatory expert in the business of integrative medicine Michael Cohen has produced a thoughtful and informative Top 5 for 2015. These were published here via Glenn Sabin's FON Consulting (formerly FON Therapeutics). Cohen's trends are: 1) No defined legal category (for integrative medicine); 2. Integrative medicine physicians should decide whether to embrace, or disclaim, primary care; 3. Kickback and fee-splitting issues represent a danger zone for integrative practice; 4. The MSO model is here to stay; and 5. Telemedicine, mobile health, and wearable health are emerging trends that will merge with integrative healthcare. Cohen is a former Harvard Medical School professor who authored multiple, influential books in the early days of the integrative care movement. . Comment: Cohen's comments supporting each of these points merit reading for any clinician, and most especially integrative medical doctors. For instance: "Integrative medicine remains outside the bounds of a professional category defined by law-unlike, say, ‘physical therapy' or ‘psychology.' This means that the rest of healthcare law has to be borrowed, modified, or adapted to fit integrative health." Fascinating perspectives from a true veteran. The Huffington Post has published 9th annual "Coming of the Light: Top 10 in Policy and Action in Integrative Health and Medicine in 2014" from the Integrator Blog. Among initiatives and actions high-lighted are the new Joint Commission pain standards, transition in the U.S. Senate, the Cleveland Clinic's functional medicine and Chinese herbs programs, Veteran's integrative initiatives, massage collaborations, emergence of AIHM, the Society for Integrative Oncology, a new cost-related web initiative, a coalition promoting exploration of the biofield. This review has drawn nearly 850 "likes" since its posting near the Solstice. Gail Christopher, DN is being honored this year with the Terrance Keenan Leadership Award in Health Philanthropy. This is the highest award given via the philanthropic organization Grantmakers in Heath. Christopher, who is a licensed naprapath and past member of the Samueli Institute board of directors, is presently a senior advisor at the W.K. Kellogg Foundation. She is celebrated as "a pioneer and visionary" who has "spearheaded programs that take a broad view of health and well-being and the multiple factors that shape them." The release notes that Christopher earned a doctor of naprapathy from the Chicago National College of Naprapathy and "completed advanced study in holistic health and clinical nutrition at the Union for Experimenting Colleges and Universities at Union Graduate School of Cincinnati, Ohio." Comment: As a Samueli Institute board member, Christopher was instrumental in moving that organization toward community engagement and health creation. Via a Samueli Institute, I had a chance to meet Christopher and swap stories about what it is to be attached to a small field that may be considered fringe. To her credit, Christopher proudly and opening embraces her connection with naprapathy. (To the uninitiated, this field is physical medicine focused and was founded roughly 100 years ago at about the same time as osteopathy, naturopathy and chiropractic were founded. Practitioners can be licensed in Illinois.) Christopher, who came by her interest in natural medicine via an eye condition, is a powerhouse. as she showed Attendees at her October 2014 keynote at the first conference of the Academy of Integrative Health and Medicine affirmed that with a standing ovation. The Boston-based pioneer in acupuncture for the HIV-AIDs community, Elizabeth Sommers, LAc, PhD, MPH, has produced a useful text entitled Acupuncture as an Adjuvant in the Treatment of HIV/AIDS. Sommers' background includes not only two decades of practice in this community but education and practice as a researcher. She is co-chair of the American Public Health Association's section on Integrative, Complementary and Integrative Health Practices.